For tea growers, the fact that shoppers can buy bottled green tea at any of Japan’s myriad convenience stores is both a blessing and a curse. 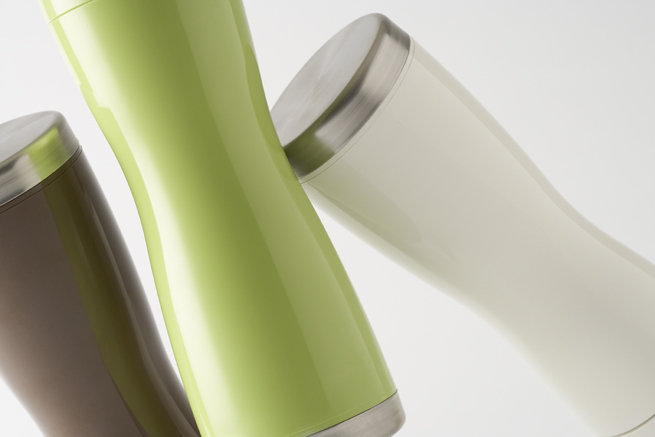 On the one hand, accessibility has made green tea more popular among young people. 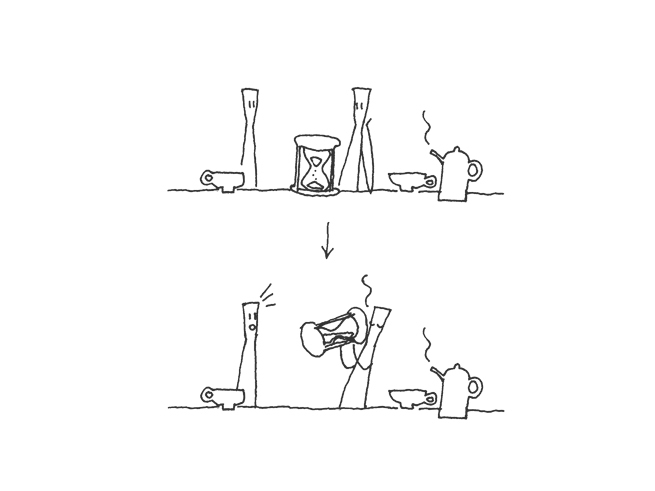 But on the other hand, fewer and fewer people know the true taste of green tea brewed at home in a teapot. 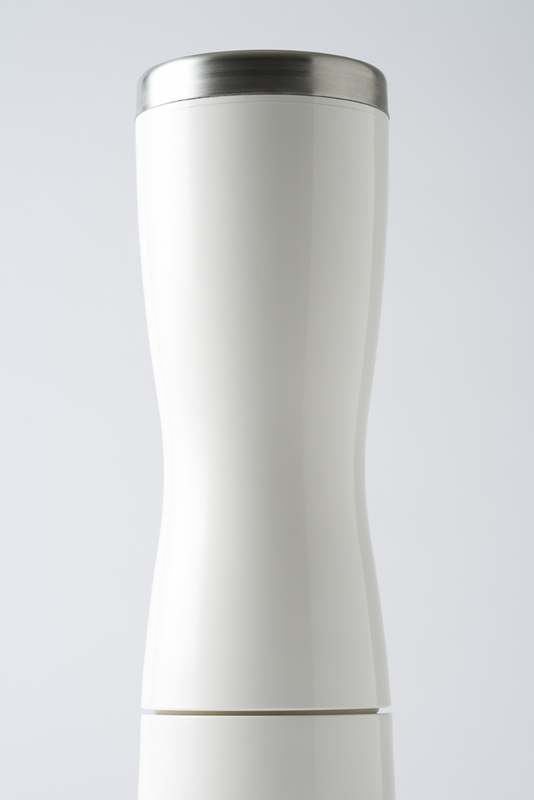 The “teapot bottle” thermos is our response to the Shizuoka Tea Commerce & Industry Association’s wishes to give more people the chance to enjoy home-brewed green tea. 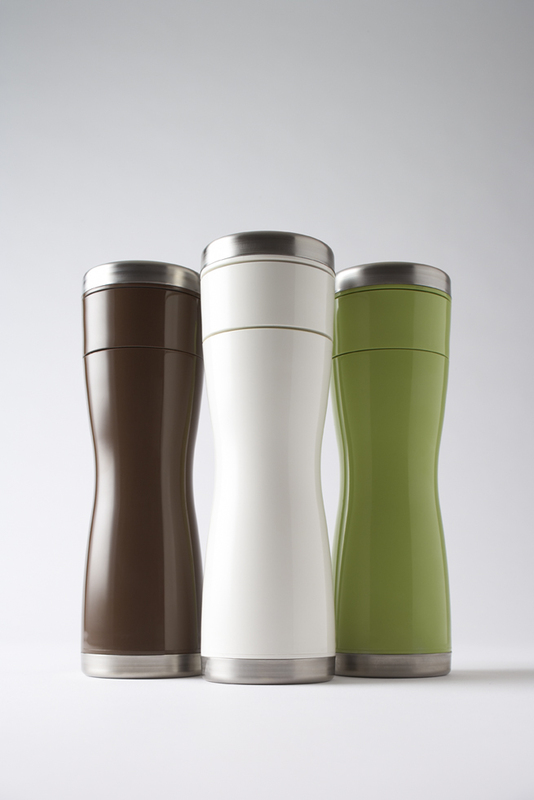 The teapot bottle can be used to make both hot tea and cold tea (a process which brings out the rich flavour of tea leaves), and a filter at the centre of the thermos keeps tea leaves in the bottle, not in your cup, and allows you to flip over the thermos right before drinking, to infuse the leaves for just as long as you like. 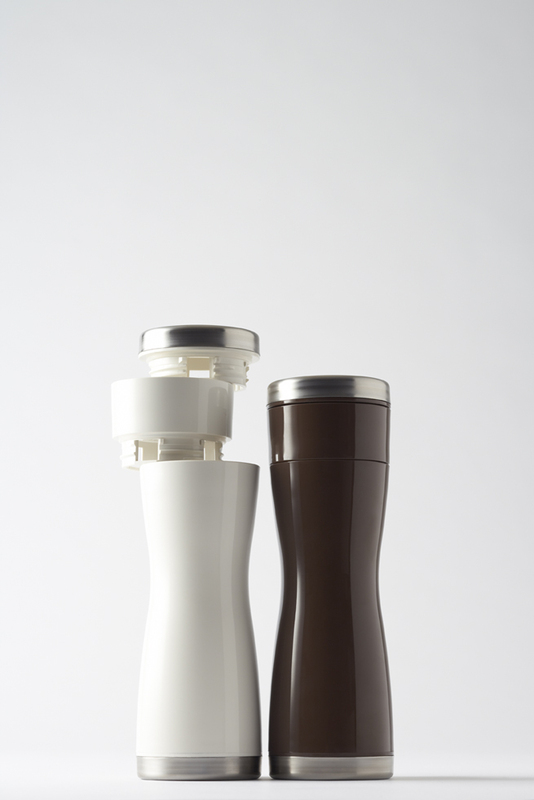 These special features function as a built-in timer, so we gave the thermos an hourglass shape to recall traditional English sand tea timers, and strengthen the thermos’s special connection to tea.The hourglass form gives the thermos a good capacity, and makes it easy to hold.